Hi, I am new to this site, but have been a regular member of AudioKarma for some time, which is where I found your site! I picked up a pair of AVID 330 speakers, without grills, in a thrift store today, for $45.00; although I hadn't heard of the brand, they were evidently well made cabinets, with quite a striking set of 3 drivers, so I bought them 'on spec' (always having the option of taking them back within 7 days if they turned out broken or junk)! From your interesting site, I have determined that they are not junk...although I have not yet been home to test them functionally. I cannot resist buying good vintage speakers when I see them out and about so cheaply, I have now built quite a collection (Rogers LS2, Meridian M2, American Monitor Model 8, Pioneer CS 63DX are just a few examples I have collected over the years and now cannot bear to part with). It is exciting to know there is a forum for people who share my mania! Okay, so I have had a chance to connect them to a JVC R-1X receiver I have. One of the midranges wasn't working, so I had a peek inside and there are unstable connections here and there on the crossover board, so if you move some cables a little, the tweeter and bass cut out also! Wondering if it was a crossover fault, rather than the driver, I swapped driveres between cabs and, sure enough, all drivers are operational. This was a big relief, because it should not be hard to get the midrange working, replacing caps while I am at it. Even with that flaw, these speakers sound extremely nice. I played a Sarah MacLachan CD (the only one I had to hand) and also listened to some classical on FM. With both midrange and tweeter ambient controls set to the neutral position, the clarity was extremely impressive. 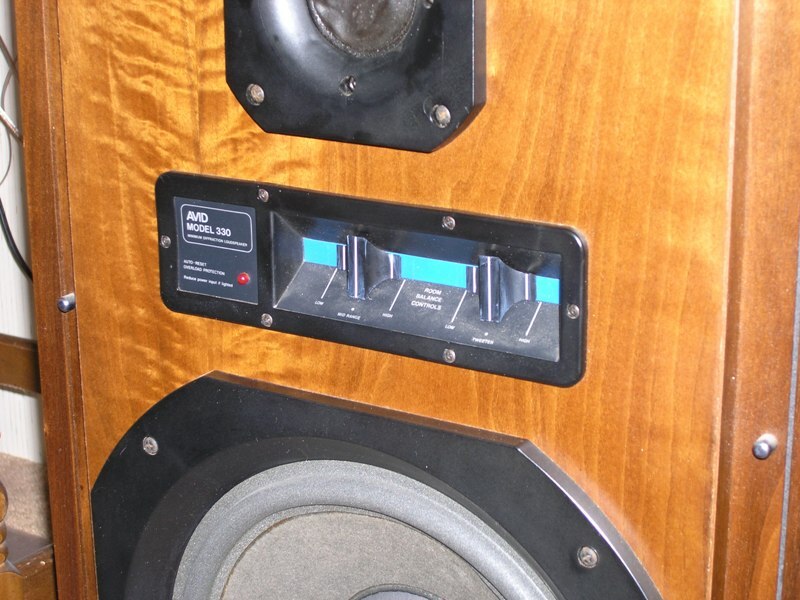 Bass is truly well defined, without the boominess of many large speakers fitted with 12-inch woofers. Tight bass, excellent vocals and clear high frequencies - I can tell I am going to enjoy these babies very, very much once the x-over is sorted so BOTH midranges are contributing to the overall sound! I am very, very pleased with my find! Images attached. Cabs are excellent (need a clean - no scuffs or chips); dust caps dented on 1 midrange and 1 woofer, and I will sort that out, because these deserve to be looked after. See attached images. 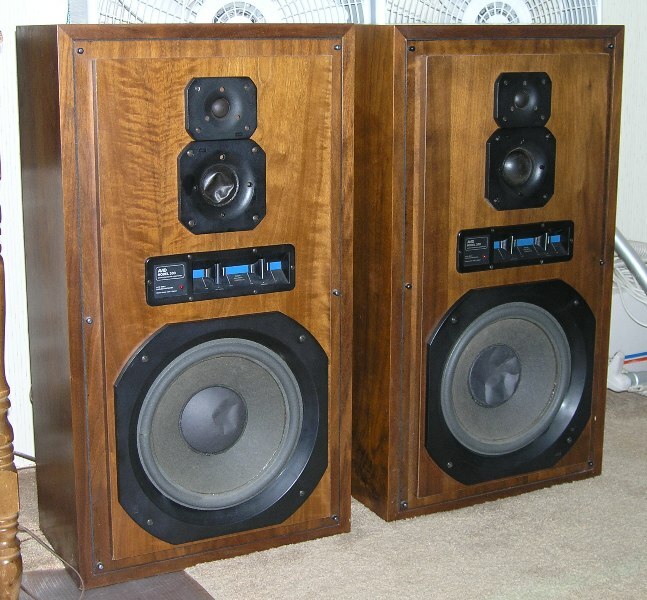 I bought mine new at an audio show in NYC in the late 70s and they are still working great today although the woofers needed refoamed 2x since I bought them. Probably the crossovers need to be redone also but they sound OK as is.